We have just arrived back home after our recent trip to India. I am sorry I haven't provided feedback on one day trip in kerala in Houseboat and overall experience before due to difficulties with communications - I did not take my laptop with me! We had a wonderful time on the houseboat. From the moment we arrived we were able to relax and enjoy a memorable experience. The houseboat was well appointed and most comfortable. The staff were very professional, welcoming and friendly. The food was excellent from start to finish. Coconuts were ready and waiting upon our arrival. The supper was superb, taking account of our request for a combination of veg and non-veg. We stopped to purchase seafood en route - lobster or prawns? - and it was cooked to perfection. 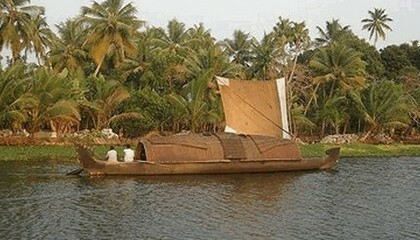 Floating through the backwaters of Kerala was an unforgettable experience that we would recommend to anyone. Iris Holidays did us proud. You made sure from start to finish that this would be the highlight of our trip to India. We also very much enjoyed catching up with our son who is working in Tamil Nadhu. He joined us on the houseboat and also enjoyed the experience to the fullest extent. Thank you so much for all your arrangements and attention to detail. We do hope to return one day to repeat the experience and would certainly come back to Iris Holidays. Please do keep us up-to-date with your contact details..